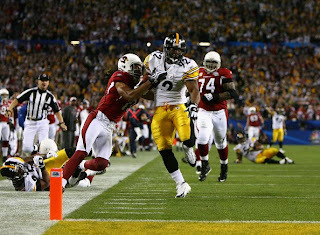 ESPN.com is ranking the top 10 superbowl plays of all time. I know who I’m voting for as #1. Take a little trip to the site and vote! Oh hey! You know Hines, the dirtiest player in the NFL, he’s such a “jerk”. Look at this hosting a benefit dinner at his own house. What a “mean” thing to do. Silly players in the NFL, why are you so bitter. Anyway, to the point of this post. Check out Hines’ benefit website for all of the details of this charity weekend. I’m trying to decide what event I would like to attend…. One of my dear friends KN came to me to help track down who made Ali’s yellow dress that she wore on a recent episode of The Bachelor. KN is hoping to convince her friend to make these her bridesmaid dresses. I love projects like this, LOVE them. Unfortunately I was only able to find the dress in mustard yellow, not canary yellow like the one above. Its my hope that the company will remake the canary yellow version due to the buzz about this dress from the show. One hundred percent of your $10 donation will go to Brother’s Brother Foundation; please pay what you can. You can find out more on their blog. 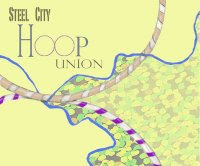 Steel City Hoop Union. I understand, because I work there this post seems a little biased, however I do not see it that way. I’m doing you a favor…ModCloth has a sale this big twice a year…run, don’t walk your little fingers over there right now! Soooo I felt like “reviewing” football on this blog was kind of silly, there are enough experts out there that you really don’t need to hear my opinion. You can tell I love it, if you would ever want to discuss it further you know where to find me. I can’t say the same is true with my feelings on fashion. Therefore I would like to show you in my opinion the top ten looks from last night’s Golden Globes. I love awards season..the gowns, shoes, handbags and jewels. I can never get enough..
Secondly, I’m sure you all noticed while watching the games this weekend, all of the fans waving towels, much like our beloved Terrible Towel. 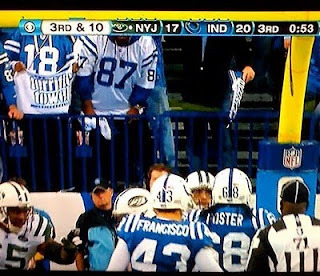 I know, I know, this is old news…but every time I see it, I get annoyed…but I think I should just look at it as the sincerest form of flattery for the best fans in the NFL. A side note, while googling for pictures of NFL fans waving towels etc. all that kept coming up was Terrible Towel waving fans. It was a nice feeling. 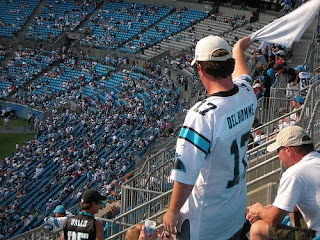 I’ve only been lucky enough to go a few Steelers away games. And I must say the one I recently attended at LandShark Stadium was one of the best. 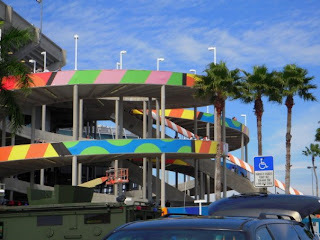 I’ve decided to share some pictures of this very colorful stadium with you. You may be confused by these pictures, because by the amount of Steelers fans you see, you may think you’re actually looking at Heinz Field. 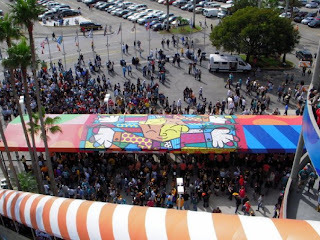 view from the parking lot…..
tried to get a shot of all of the Steelers fans, there were too many…. OK, I must say some of their fans were the biggest jerks. Not only are they totally living in the past at LandShark Stadium (they played numerous clips of plays from games that happened before I was even born, like they happened yesterday) But! Their fans are also very uneducated when it comes to other teams in the NFL. Like this annoying guy behind me that I had a very “lovely” chat with. That’s a picture of him doing their annoying fins up dance. They had a different celebrity pop up on the screen every two seconds it seemed. Its sad that even with paying all of those celebrities their team/fans do not represent themselves well. On that note…Go Steelers Nation! 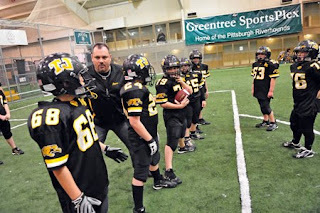 So I may be a little biased since this team is from my hometown, and I used to be a cheerleader for them when I was younger, but how adorable is this story!! The Thomas Jefferson Youth Football League’s Little Jaguars are headed to California to participate in Snoop Dogg’s the Big Dog Bowl! This trip would not be possible without Big Ben! Long after players are done playing on the field, it is nice to have things like this to remember them by. Thanks again Big Ben! Good luck Jags!